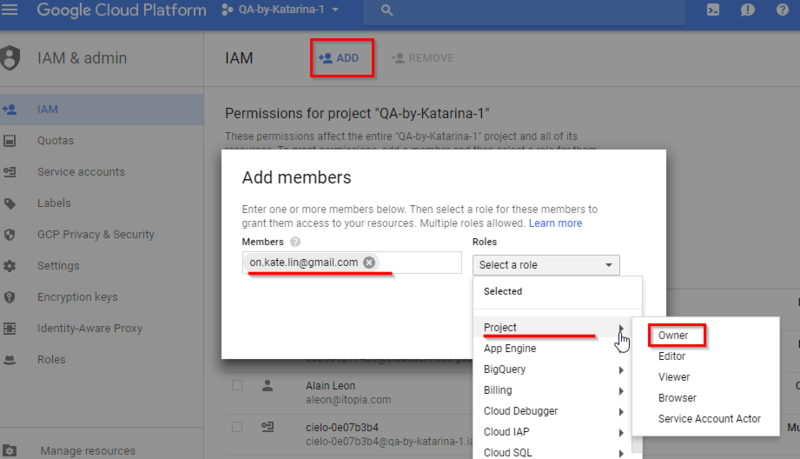 To perform Professional services or prior to POC creation, itopia needs you to create a Project in GCP and assign our team an Editor role access to it. 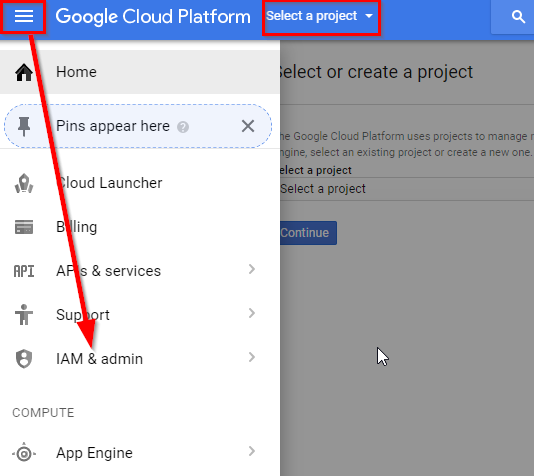 This will allow our engineering team to launch the cloud environment for you in GCP account and perform any other configurations that were agreed. 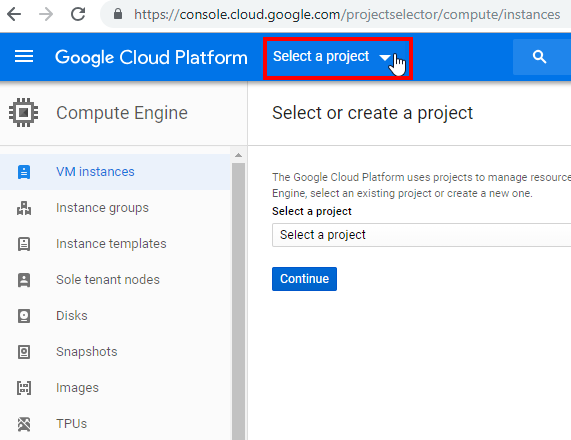 Login to Google Cloud Console and on the top left, click "Select a project"
Fill in the project details and click "Create". 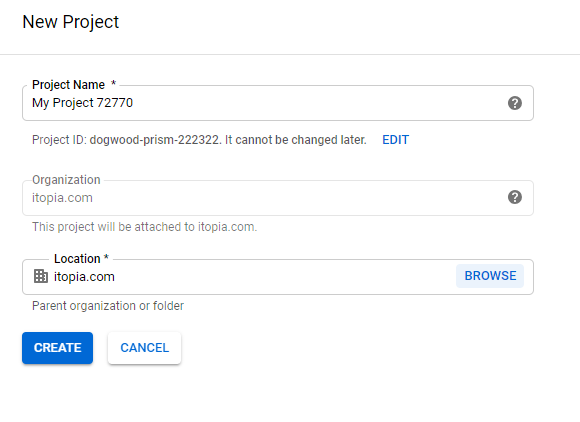 There will be a separate Google project for every deployment you manage in itopia. Each of these projects will have their own permissions. A person that creates the project is the "Owner" of the project and has all rights to it including the access to launch the project/deployment to cloud in itopia CAS. For configuration purposes, Owner role is needed to give us the necessary rights to build your deployment. Select IAM & Admin from the main menu in the top left. Make sure the project you just created is selected on the top. You will get the list of allowed accesses for the project. You can add an admin clicking on the +ADD button. Then type the itopia email address provided to you by our team and select the Role as Project Owner. This type of access is needed if our team will launch your deployment to cloud from itopia CAS portal. For more information about different roles, have a look here.